Have we become a nation of cynics? This thought occurred to me while taking part in virtually the same discussion on two different national news channels. Someone on the panel questioned the involvement of Aamir Khan in the programme Satyamev Jayate. What were his motives? Weren’t they commercial? Was he not interested in high TRPs? Wasn’t the programme sponsored, so would future episodes not tread warily around sponsors’ sensitivities? In case you have missed all the sound and fury (and the sound bytes) generated by the programme, Satyamev Jayate’s first episode dealt with the tragic question of female foeticide. We all know the problem: Indians kill their girl children, either soon after birth through neglect or before birth through abortion. The gender ratio keeps getting worse every year. And it’s not just the ‘backward’ states like UP or Bihar which are affected; so-called ‘developed’ states like Maharashtra and Haryana too produce fewer girls than boys. Agreed Aamir Khan is not one to underestimate his own worth. He is known to negotiate hard when it comes to his fees, and no doubt negotiated a profitable deal for this programme too. But the important point is that he could easily have done a so-called Reality show, or a razzle-dazzle game show, and earned even more money. He chose not to, and instead decided to take up important causes. Is that being cynical or exploitative? As you may have read, he also insisted on Satyamev Jayate being simultaneously telecast on Doordarshan as well as in dubbed / sub-titled form on regional channels, with the obvious intention of reaching as wide an audience as possible. Anything wrong with that when you consider the vital nature of the subject? ‘TRP’ isn’t always a dirty word. My own reading is that the star appearance of Aamir Khan was important in a number of ways: because of him, the programme was shown on prime time across so many channels; his presence drew a huge audience for its premiere (usually a programme takes a few episodes to build up), his star appeal brought in sponsors which gave the producers more money to spend on content as well as to splash lots of cash on a massive advertising campaign. But the content of the programme was so good; its human stories so very moving, that even without Aamir Khan as anchor, the programme would have had an equally strong impact. It’s a moot point though whether the Chief Minister of Rajasthan would have so quickly called another anchor and publicly declared his support for the programme as well as action against people who were guilty of female foeticide. Someone asked: why did it need an Aamir Khan for the CM to wake up? The answer to that – at least for me – is obvious: if female foeticide – which should be so repugnant to any civilised society – is on the increase as proved by the ever–skewing gender ratio, it’s because lot of people believe in it. (It has been established beyond doubt that even the urban middle class is guilty). If it affects people across the board that must also include politicians, police and even the judiciary: after all, they belong to the very same society, and are cut from the same cloth. No wonder these abominable crimes go unpunished and unchecked. Another question asked was why didn’t politicians add this issue to their election manifesto? Again an obvious answer: if so many segments of the electorate practice female foeticide, which politician would have the courage to speak against it? The rot goes deep. And it will need several Aamir Khans to change things. But be grateful that there’s one to start with. 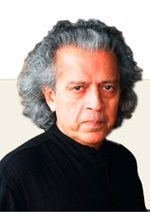 Anil Dharker has been Editor of some of India’s leading newspapers and magazines. He is now a columnist for many Indian newspapers. He is the author of four books, the last one being an anthology called ICONS about Men and Women who have played a leading part in building modern India. Previous Entry W H AT A S T A R T ? Match fixing takes guard.